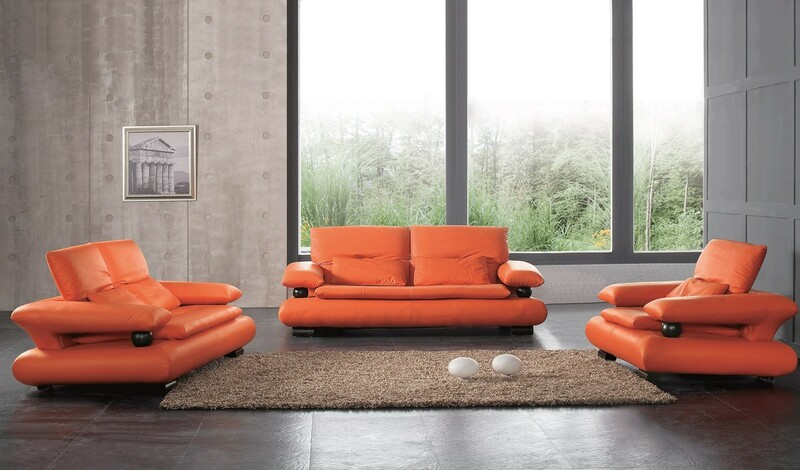 ESF 410 orange living room set features ball shape pieces under its arms which add more flair to the set and match perfectly with the same espresso color round feet. 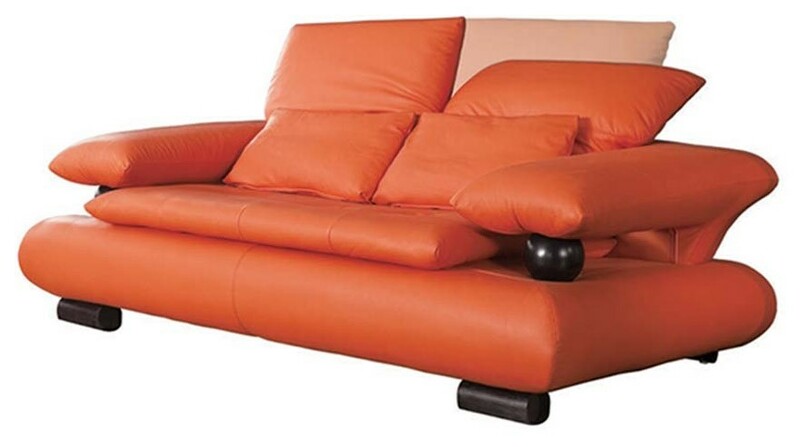 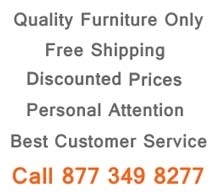 Design your room with these modern styled sofa, loveseat and chair upholstered in Italian orange color leather. 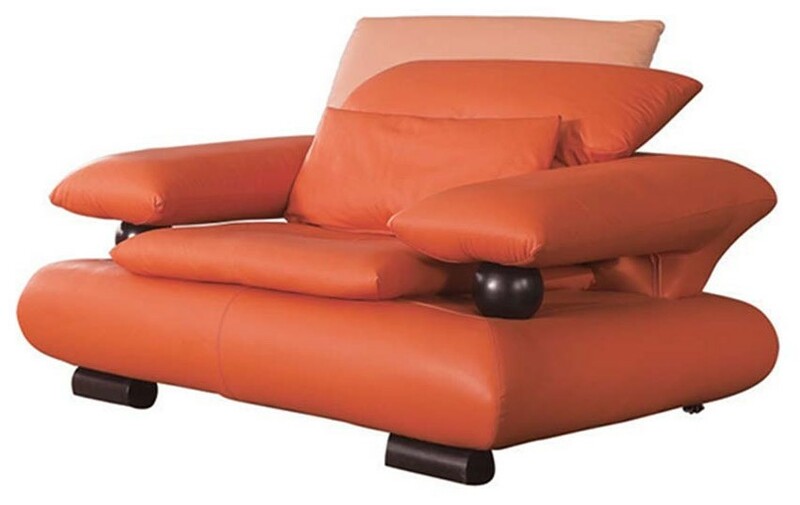 Set comes with accent pillows and offers adjustable backrests.